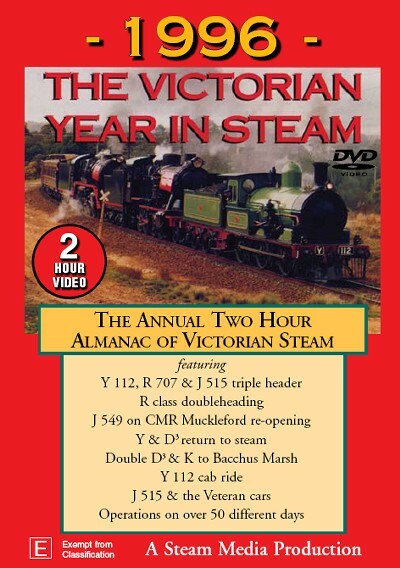 1996: The Victorian Year in Steam: This very popular VHS production has now been released as a DVD so you can enjoy the historic sights of steam tours on a magnitude that is almost impossible to repeat. Recorded on analog and 3CCD digital cameras (from September 1996 onwards), digitally edited and mastered. All colour, all original sound.